Menthol (which can also be referred to as mint) is a popular flavour that most of us can easily identify. Most of us will recognise the distinctive menthol taste from flavoured sweets, toothpaste or cough and cold remedies. Menthol is also used in drinks such as tea, in some foods and in a variety of medicines. Here we take a closer look at where this ingredient originates from, its history and its various uses; one of which is a flavour for e-cigarettes. Where does menthol originate from? 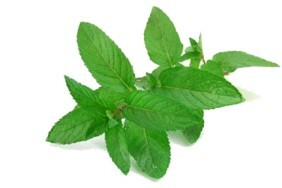 Menthol is found naturally in mint plants such as peppermint and spearmint. More commonly, a synthetic version is created in a laboratory where it is made through a scientific process where it is extracted and mixed with other mint oils such as peppermint and corn mint; these help to give it its popular flavour and distinctive smell. In its natural form, menthol is a waxy, crystal like substance that is clear or white in colour and melts easily just above room temperature. Evidence suggests that menthol was first discovered in Japan over 2000 years ago, however, it was not seen in the west until the 1770s. After it appeared in the west, it quickly became very popular for its refreshing smell and flavour and it was soon being used in a variety of products. Since it appeared into the west, menthol has become more widely used in many different ways. Today it is a well known ingredient seen in a variety of different consumer products. Some common uses include beauty and household products, massage oils and many health products including throat lozenges and cold medicines. Menthol is known to be a useful ingredient in treating sore and irritated throats and coughs. It is also commonly used as an effective decongestant to help relieve nasal and chest congestion when a person has a cold. Menthol is also used in a variety of dental products such as toothpaste and mouthwashes as it can help to clean and refresh the mouth and prevent bad breath. Another popular use for menthol is as a flavour in tobacco products and electronic cigarettes. Menthol was first added to tobacco cigarettes in the 1920s and today it is a common ingredient in e-cigarettes as it give a unique and refreshing flavour making it very popular choice with e-smokers. Menthol e-cigs are also able to provide a cool and refreshing sensation inside a person's mouth, without any drop in the external temperature; this makes them a very popular choice in warmer countries. If you like the taste on menthol and you would like to enjoy the refreshing taste and smell of it every time you use your e-cigarette, then the good news is that it’s very easy to find an e-cigarette cartridge with a menthol flavour. Most brands of e-ciggy stock this flavour but it is best to check before you purchase a new e-cig. This is good news. One reason I was wanting to look at other alternatives was I only like menthol. Regular cigs just never cut it for me. I'll have to look for a e-cig and menthol cartridge. I like menthol in the colder months; it just seems so much more refreshing than any other flavour. It's good to see that I can get a cartridge flavour in menthol as it makes things so much easier. My mom had mint plants in our yard growing up. It's great to mince up and put in tea. Tasty. Indeed, I love menthol flavoured e-cigarettes, very refreshing! I hope to check out some of your menthol flavoured kits later on today. LOVE the spearmint flavour best. Feels cool on my throat. Great! This flavour means that I can enjoy smoking and have fresh breath at the same time :) Also this will eb useful during the colder days when I tend to get a clogged up throat. I love this coolness in the flavour. So good. I want a lighter tasting mint flavour. Is there a way to dilute your flavours? I prefer a chocolate or fruity flavour over this. But it's OK.
My e-cig came with 10 of those cartridges. I now purchased chocolate ones but I still rather use only mint.